Designer Series Paper Scraps Used Up!!! Come on I know we all have plenty of scraps laying around. Today I’m sharing how to get those Designer Series Paper scraps used up!!! This card uses scraps of designer paper measuring 4″ x 1-1/4″. I mixed and matched the pieces together. Some of the patterns I used both the front and the back and others I just used one of the sides for each card. All of these are layered on a piece of Early Espresso cardstock measuring 4-1/8″ x 5-3/8″. My tip for getting the spacing correct is to start on the outside and work your way in. All of this was layered onto a Whisper White card base. For the decoration, I added a piece of the Real Red Satin Ribbon with the loop at the top and the ends hanging down. 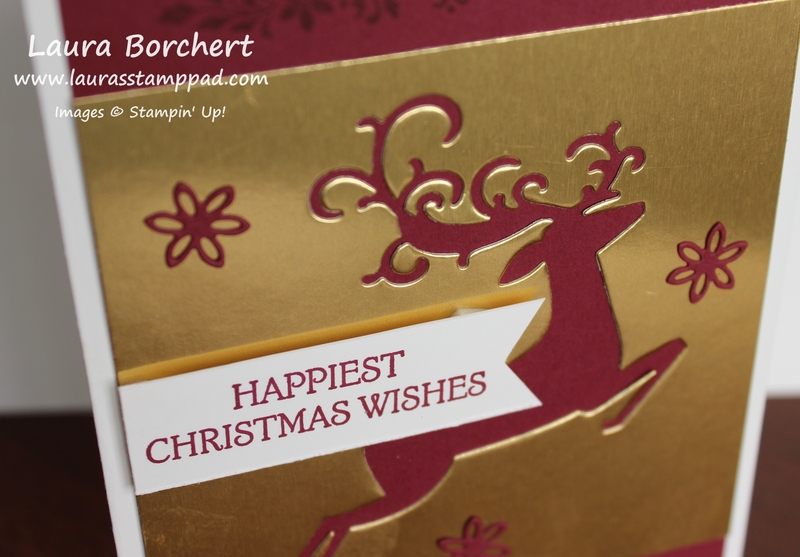 Simply add a smidge (an inch) of adhesive to the card and press the ribbon into it. Then place your greeting over the top to help secure it. The greeting uses the Laying Circles Framelits in Old Olive and Whisper White. The greeting was stamped in Early Espresso from the Stylish Christmas Stamp Set from the Annual Catalog! 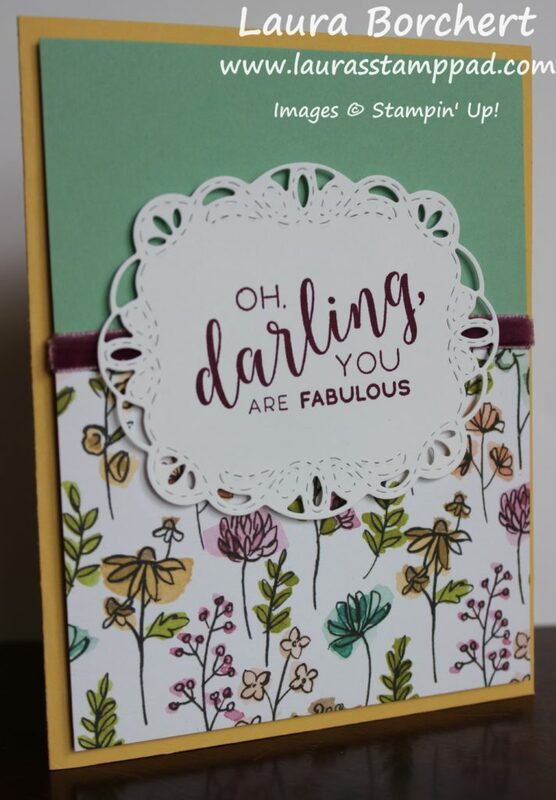 Of course the greeting is popped up with Stampin’ Dimensionals for a little bit of texture and a smooth finish over that ribbon! What designer paper pack do you have lots of scraps from? What style of card or occasion are you going to make this with pattern?? Let me know in the comments below! Happy Monday!!! I hope you all had a wonderful Thanksgiving and weekend! We got to spend lots of time with both sides of the family. It was amazing and Claire enjoyed all the attention. Wish me luck today as I am her only entertainment. 🙂 Now that Thanksgiving is over, it’s time to prepare for the next holiday!!! I created this cute and simple Festive Farmhouse fun card for just the occasion! I’m all about quick and simple cards this year because I just don’t seem to have much time lately now with little Miss Claire in our lives! 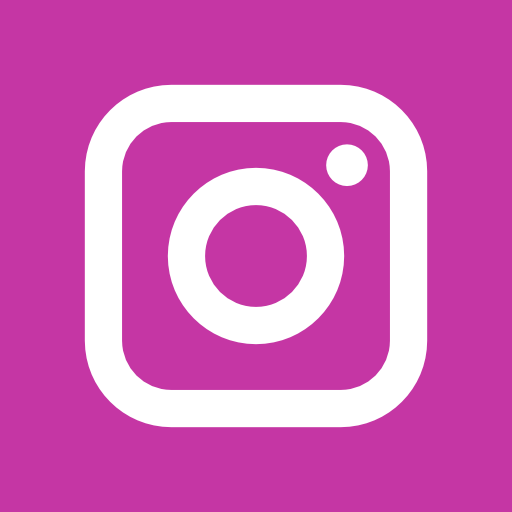 🙂 This card also uses every bit of the 12″ x 12″ sheet of Designer Paper because it is a 4″ x 3″ piece! Bonus! I started with a Cherry Cobbler card base. Next, I took a piece of the Festive Farmhouse Designer Series Paper (4″ x 3″) and layered it onto a piece of Crumb Cake (4-1/4″ x 3-1/4″). Then I added this piece to the card front. I took a piece of the Striped Burlap Trim and cut the ends to a point, making the points opposite for each end. Just add a little bit of Snail Adhesive to the designer paper and press the ribbon into it. It won’t be held super strong at this point but that’s okay. Adding the greeting over the top will hold it much better. 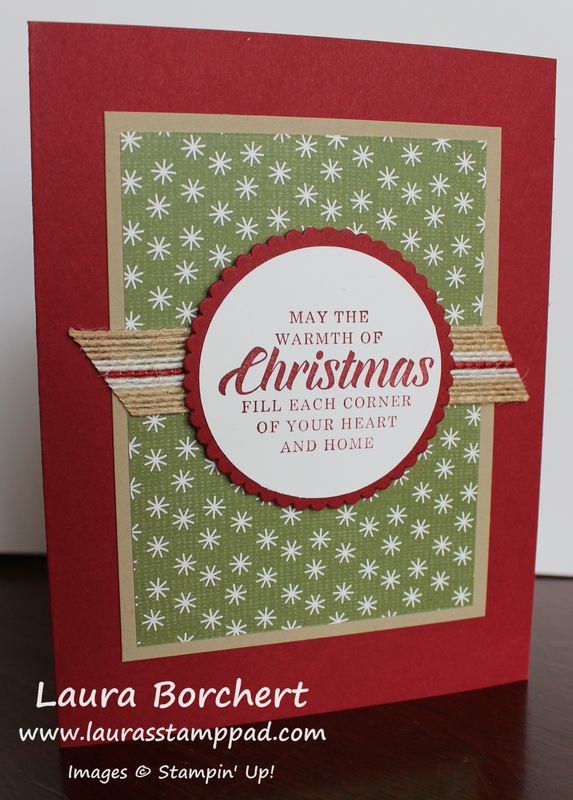 For the greeting, I used the Timeless Tidings Stamp Set. The kit is amazing but the coordinating stamp set is SUPER versatile. 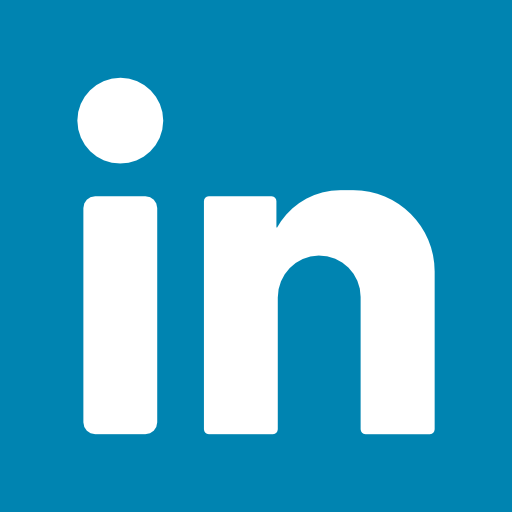 Check out these samples using it here and here! 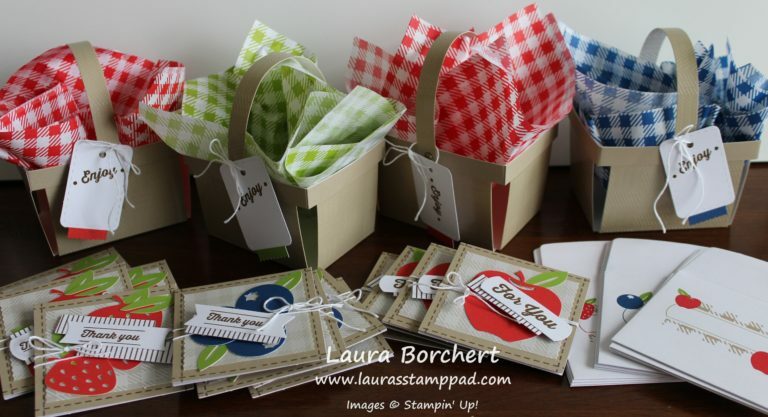 The greeting was stamped in Cherry Cobbler Ink and punched out with the 2″ Circle Punch. Then I layered it onto a Cherry Cobbler Scallop Circle. 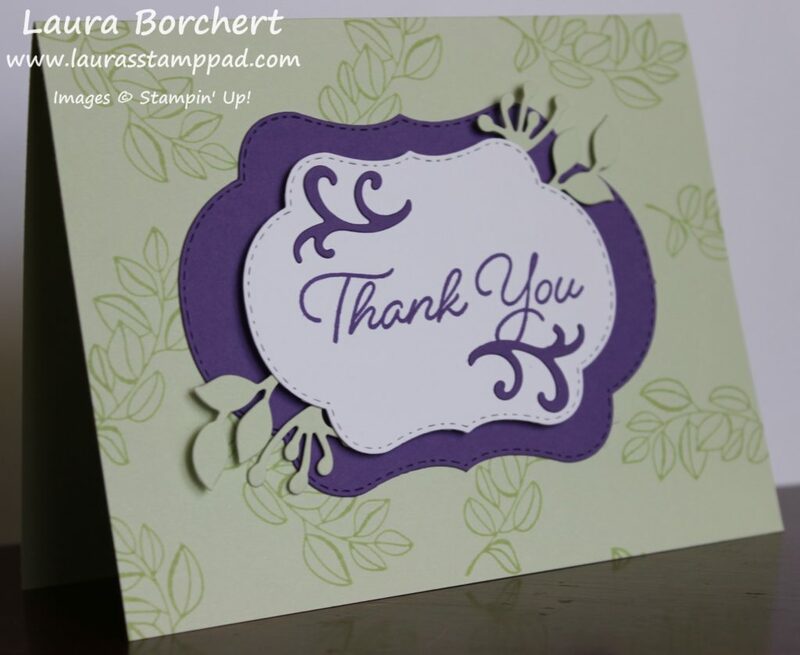 The scallop was die cut with the Layering Circle Framelits. The framelits create smooth and scalloped circles but I used my punch for the smooth one to go faster! If you only have the framelits, it would work perfectly! 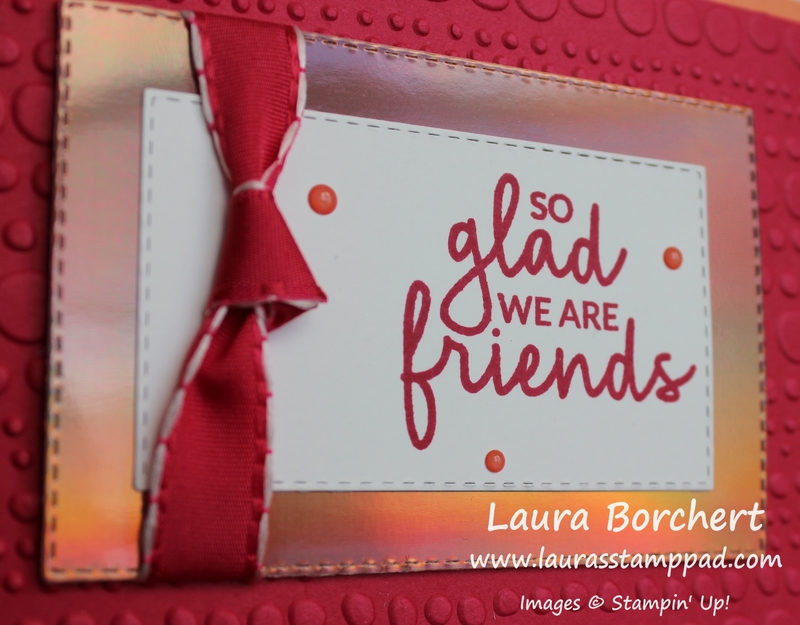 I added the greeting to the card front with Stampin’ Dimensionals for a little texture and to go smooth over the ribbon! Yesterday I shared a fun card using the Dashing Deer Stamp Set and coordinating framelits. Today it’s Part 2 and I’m sharing this detailed deer card!!! Click here to check out yesterday’s card if you missed it! As you can see, this card is very similar in style to the one I shared yesterday! 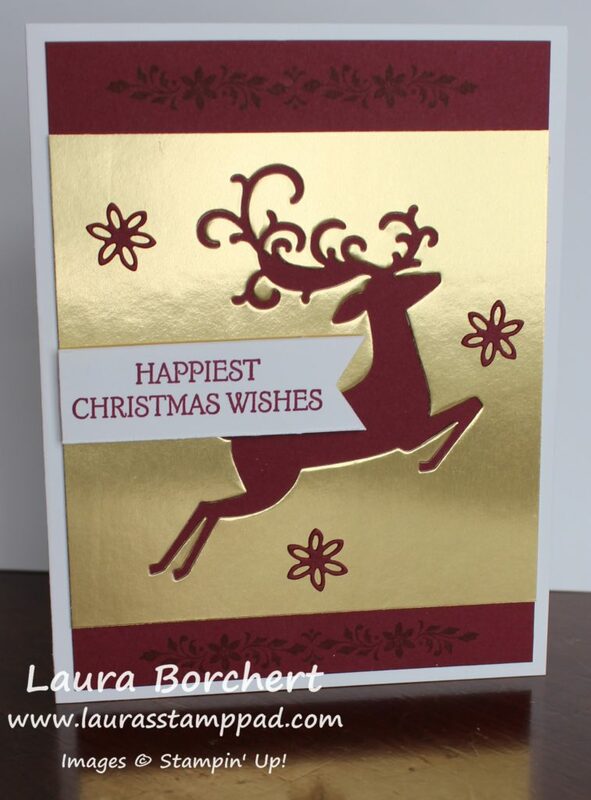 It also uses the same greeting banner, stamped floral image, same colors, and the die cut deer!!! This makes creating multiples for Christmas super easy!!! I started with a Whisper White card base and stamped the floral image on the top and bottom in Merry Merlot Ink. All the images for this card are from the Dashing Deer Stamp Set from the Holiday Mini Catalog. Next, I added a little strip of Gold Glimmer Paper just above and just below the stamped image. Then I took a piece of Whisper White (4″ x 4″) and embossed it with the Swirls and Curls Embossing Folder. TIP: I know this is sort of after the fact but I wanted to point out that you might want to hold the glimmer paper up to the embossed cardstock to make sure they line up correctly. While I cut the glimmer paper and white paper at 4″, after embossing it the white paper pulled in a smidge. This made the glimmer paper hang out a little on the ends and I had to trim it off. 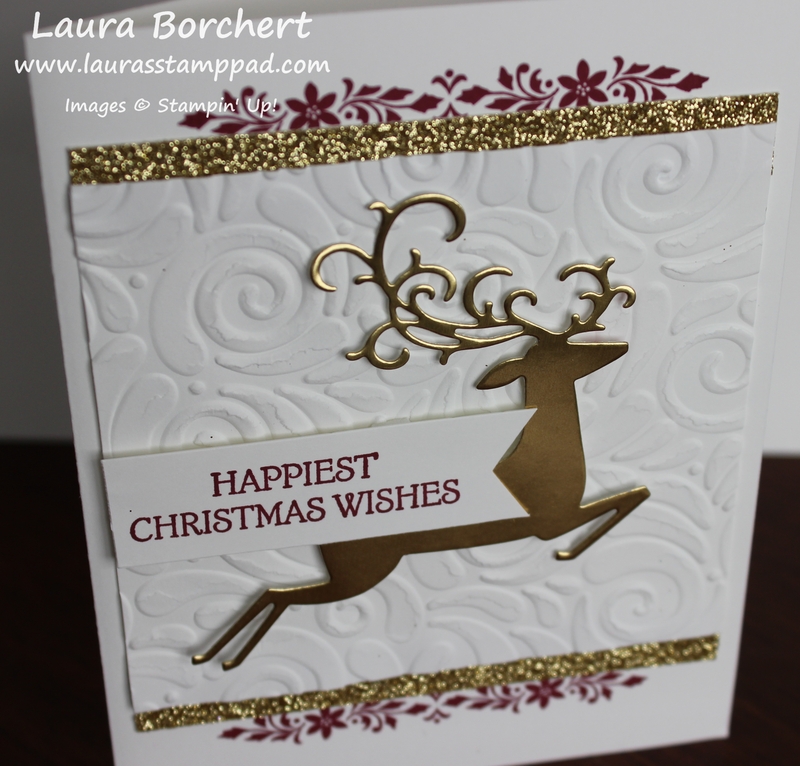 Now for the focal point, I added Stampin’ Dimensionals (and some Mini ones) to the die cut Gold Foil Deer. I used the coordinating Detailed Deer Framelits (Bundle & Save 10%). 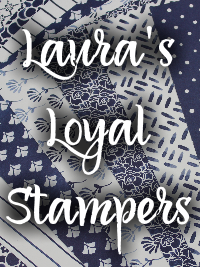 Next, I added the greeting which was stamped in Merry Merlot Ink and punched with the Banner Triple Punch. It also was added with Stampin’ Dimensionals. Be sure not to put a dimensional on the spot that it sits on the deer because then it would be popped over the deer. So I just added some to the top side of the greeting and let the bottom rest on his back. I love that I was able to cut a lot of the same dimensional and colors for 2 cards and get 2 different looks. It’s also super fabulous to not have to waste Gold Foil Paper because this deer isn’t really the easiest for minimal waste. This way I’m using the deer and the negative image for 2 cards. It’s perfect!!!! If you would like to create these 2 cards, click on the supplies below to get started. 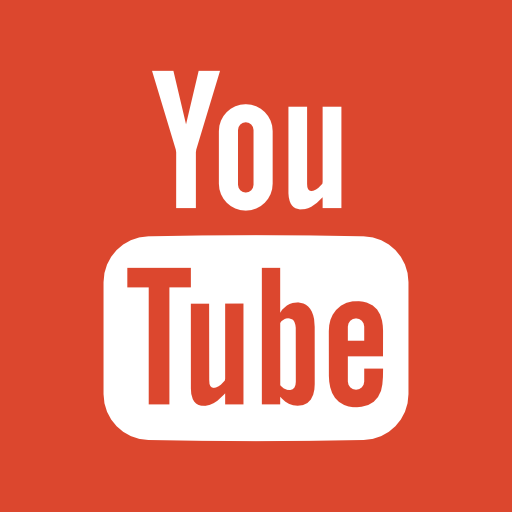 Also, you can check out the video tutorial here! Do You Make Thanksgiving Cards??? Do You Make Thanksgiving Cards?? I know that holiday isn’t one of the big ones but it’s actually my 2nd favorite after Easter!!! Being thankful, more low key, and rather simple are just a few reasons why it is my favorite! I don’t typically make cards for it though, rather fall cards that work for Thanksgiving too. What is your favorite holiday?? Let me know in the comments below! This card is great all year around since we should really be counting our blessings each and every day! With these colors, I think this card makes a great Fall/Winter card though! I started with a Soft Suede card base. Next, I took a strip of the Frosted Floral Designer Series Paper (2″ x 5-1/2″) and placed it on the lower half of the card front. The greeting was stamped from the Painted Harvest Stamp Set in Soft Suede Ink. 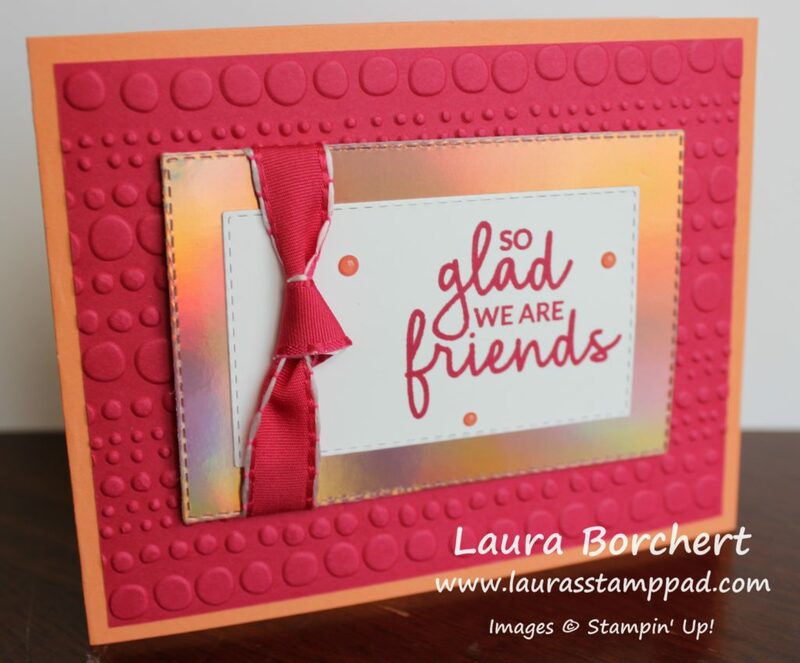 I added it to the card front with Stampin’ Dimensionals for a little bit of texture! For the floral piece, I used the First Frost Stamp Set and coordinating Frosted Bouquet Framelits. Don’t forget to Bundle & Save 10% on these amazing products. First, I layered a Mossy Meadow leaf down and then placed the Silver Foil flower on top. I used Mini Glue Dots to adhere these to the card front. The top layer was stamped in Gray Granite and then die cut using the coordinating die. While typically I am not a fan of neutrals, I really like the soft neutral look of this card. 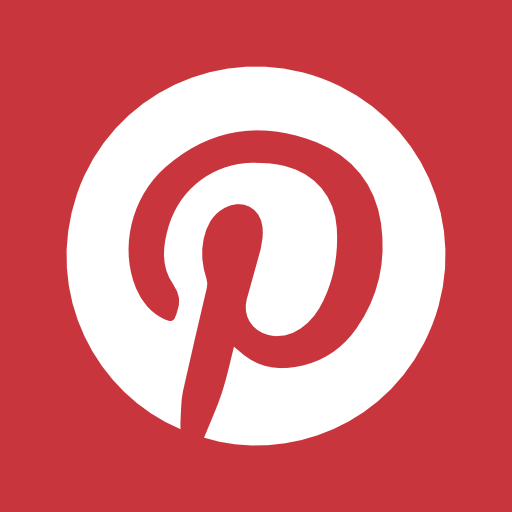 Maybe it’s because there is still a pop of color and shine in the designer paper and silver foil! I love it! 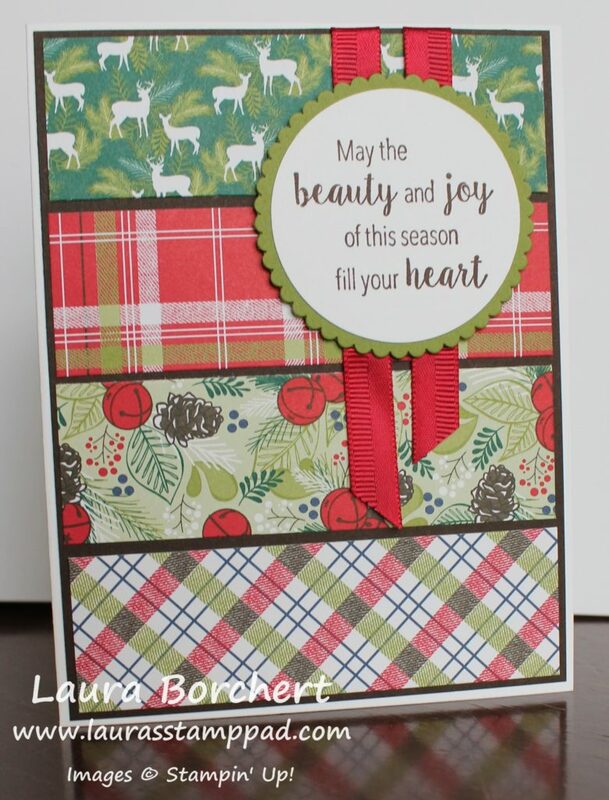 If you would like to make this card, check out the supplies listed below! 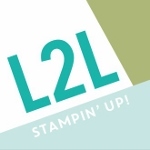 To see more samples using these 2 stamp sets, click here, here, and here! Die Cutting Multiples At Once!!! Time is precious and we all need more of it, am I right??? Today, I’m sharing with you a way for die cutting multiples at once and we can all thank Stampin’ Up for this amazing way!!! This card was easy to create because the Frosted Bouquet Framelits have 2 of these small flower framelits in the set. I was able to die cut all of these flowers with just 2 cranks through the Big Shot! I love it!!! For the card base, I used Pear Pizzazz card stock. 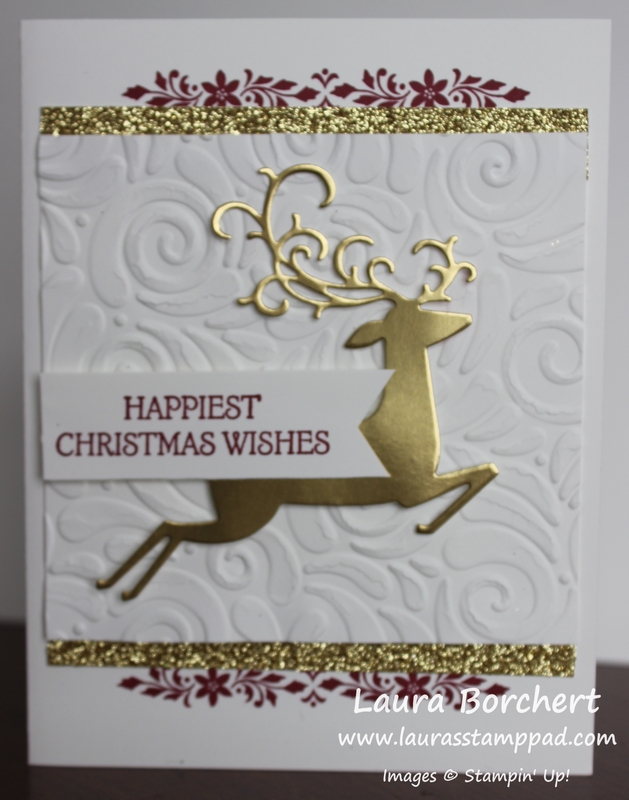 Next, I took a piece of Whisper White (4″ x 5-1/4″) and embossed it with the Tufted Embossing Folder. Then I added it to the card front. 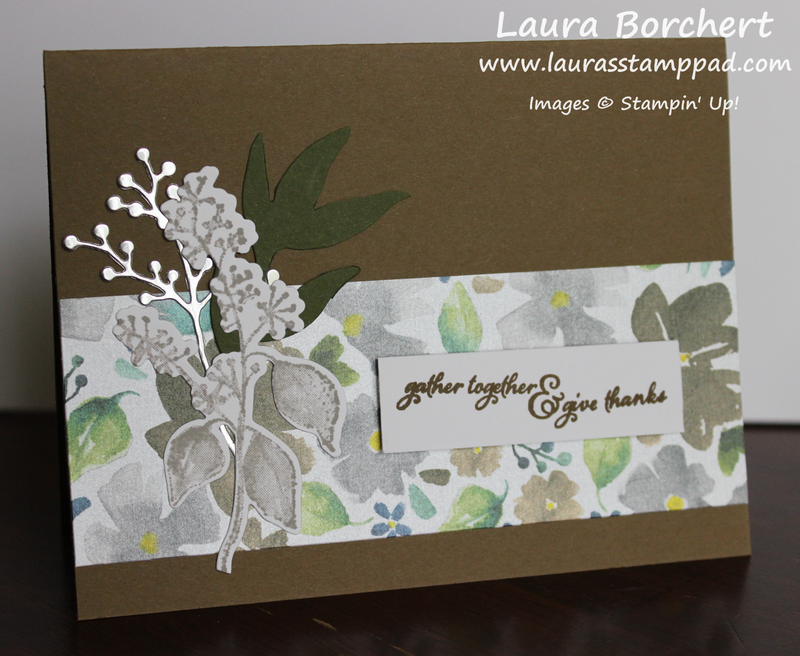 Using the Frosted Bouquet Framelits, I die cut the label and stamped the greeting in Pear Pizzazz Ink. The greeting and flowers are all from the First Frost Stamp Set. 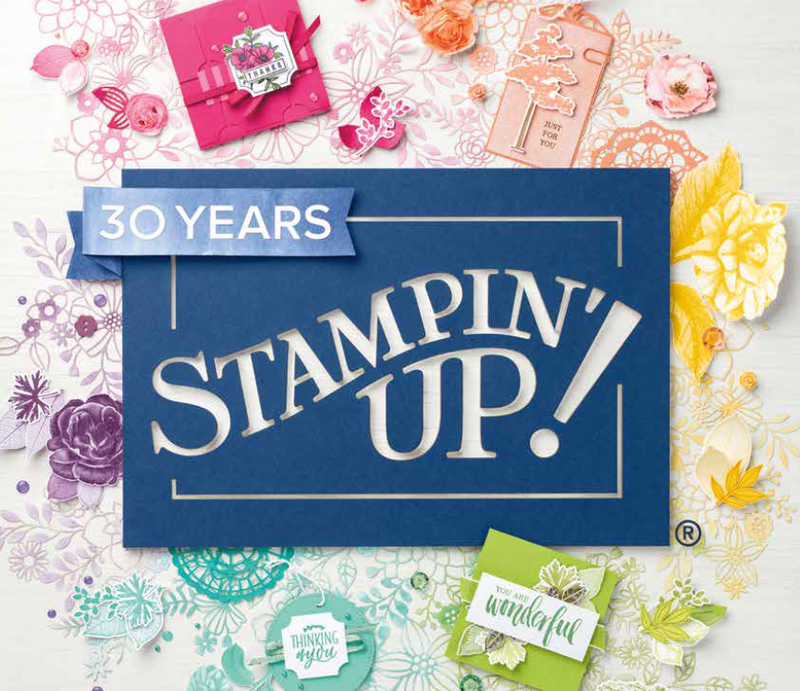 Don’t forget to Bundle & Save 10% when you purchase the stamps and coordinating framelits. 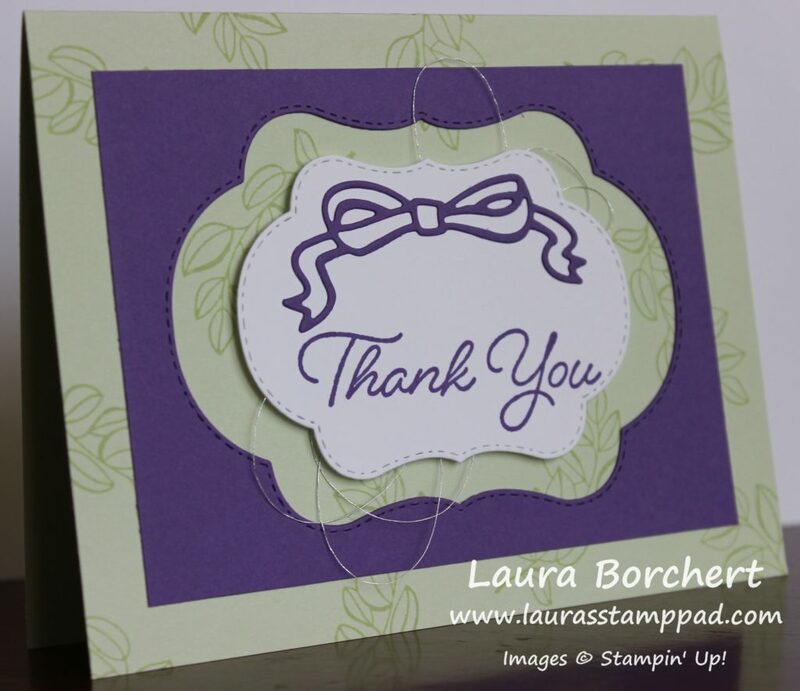 The greeting was added to the card front with Stampin’ Dimensionals. For the flowers, I stamped them in Blackberry Bliss on Whisper White and die cut them with the coordinating framelits. Since there are 2 framelits for the small flower, it was very quick to die cut all of these flowers! For the leaves, I stamped the leafy image from the stamp set all over in Pear Pizzazz Ink. Then I used the large leaf/stem image and die cut over the top. These two images do not coordinate but rather give a fun look of green and white on the leaves. You could always use the coordinating stamps and dies for a perfect look. Using Mini Glue Dots, I added the leaves around the greeting and then placed the flowers over the top with Stampin’ Dimensionals. To finish it off, I added Frosted Epoxy Droplets which I’m super loving. Those things are so pretty and really pop!!! Check out more samples using the Frosted Floral Suite here and here! I’m really loving this suite! What about you? Let me know in the comments below! Oh Darling, You Are Fabulous!!!! I don’t know if I have ever said Oh Darling before but this Oh Darling, You Are Fabulous greeting is fun! I do love the word fabulous and say it a lot!! Do you say either of these phrases? I have used this card concept many many times but it’s a classic. It works so well and there are lots of ways to mix it up. 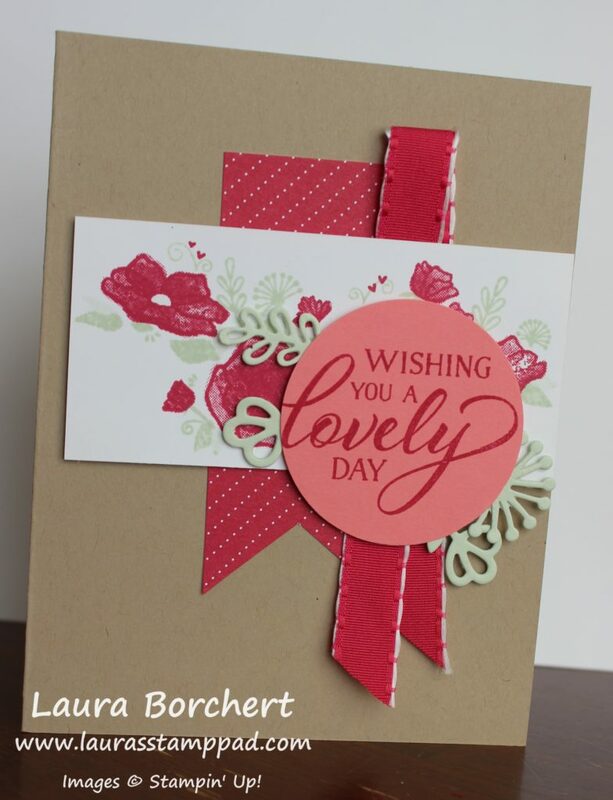 Change the designer paper, the greeting label piece, and the ribbon for a totally different look each time. I started with a So Saffron card base. Next, I took a piece of Mint Macaron measuring 4″ x 5-1/4″. I added a piece of the Share What You Love Designer Series Paper (4″ x 3″) to the bottom half. 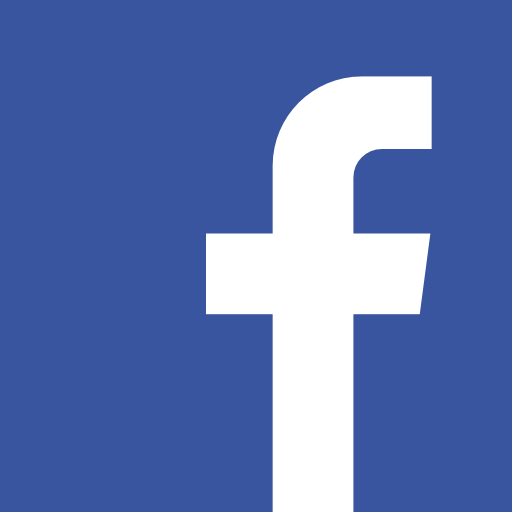 This 3″ x 4″ piece is perfect because it uses every bit of the 12″ x 12″ sheet of paper. Using some Rich Razzleberry Velvet Ribbon, I covered up the line where the designer paper ends. The ends of the ribbon are wrapped around to the back side and secured with a Stampin’ Dimensional. Then I added this piece to the card front. For the greeting, I die cut out the label using the Stitched Labels Framelits. 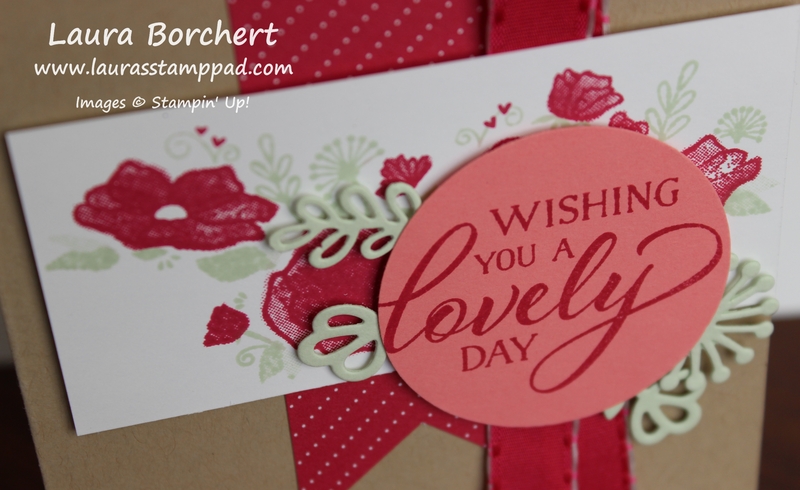 Then I stamped the greeting from the coordinating Stitched All Around Stamp Set in Rich Razzleberry Ink. 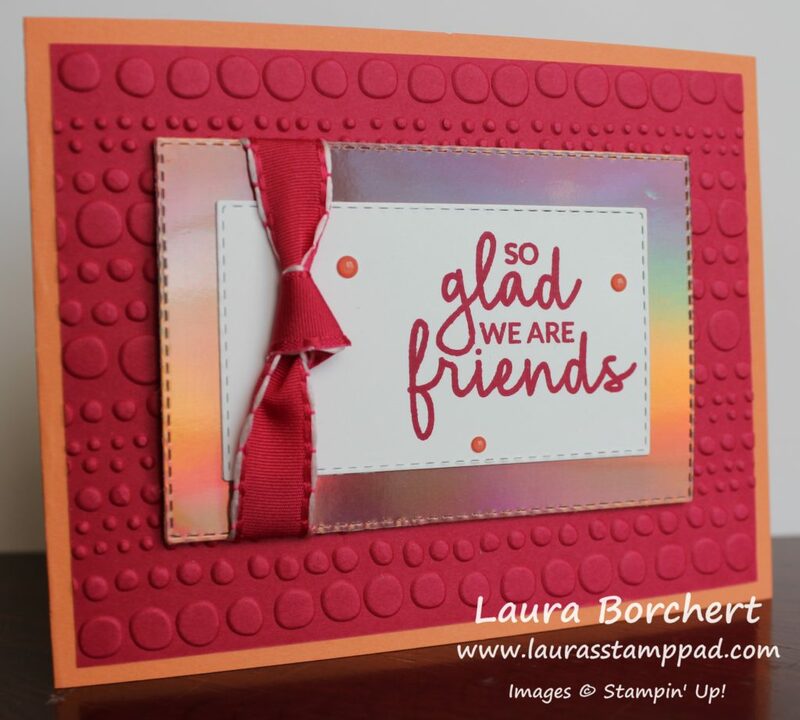 I added the greeting with Stampin’ Dimensionals as well because I wanted a nice smooth greeting piece. Otherwise it would be lumpy over the ribbon. Have you created a card with this layout before? Let me know in the comments below. If you haven’t, I highly recommend it because it’s fun and simple! 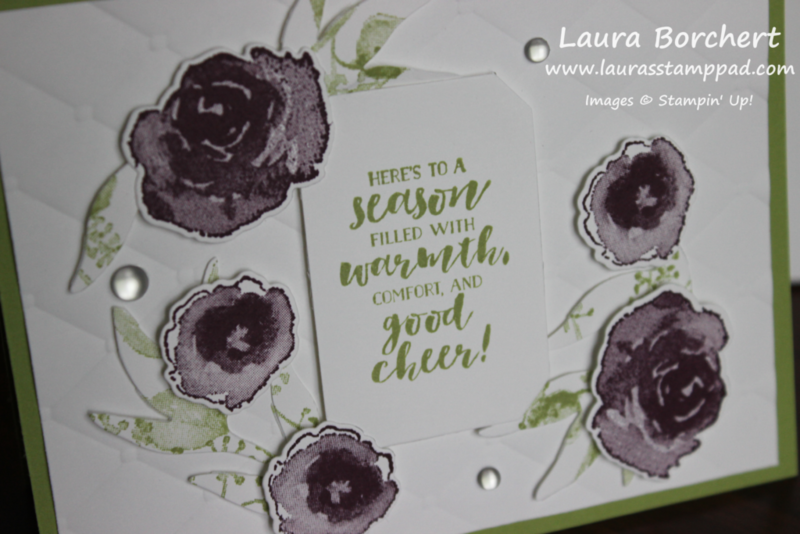 I never did get these fabulous samples posted last month showcasing the Blended Seasons Bundle. Today, I’m sharing them because they are just fabulous, frilly & fancy free!!!! Those that have this bundle can create these exactly and those who missed out on this amazing bundle can always use the card concept with other stamps and framelits! 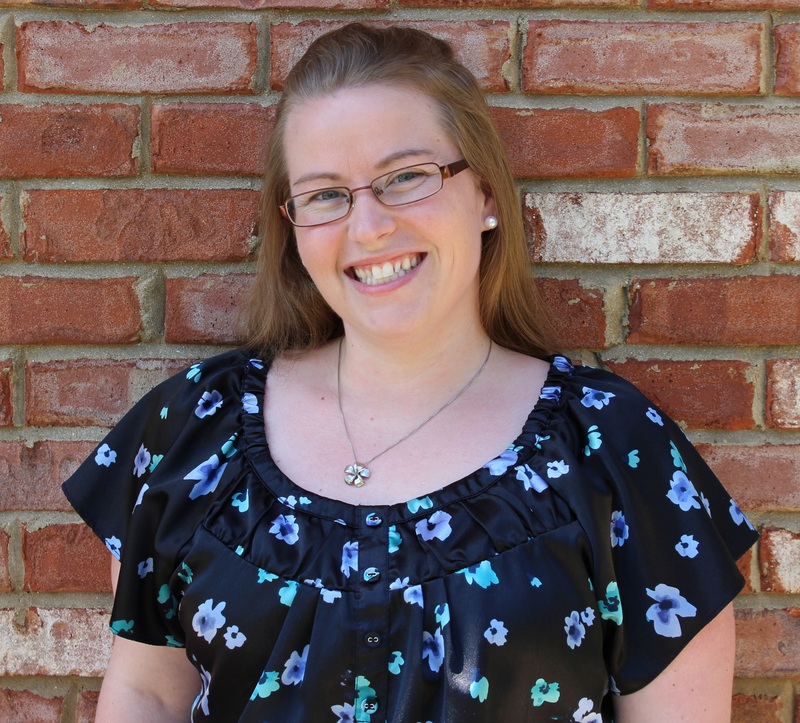 I am loving this color combination – Gorgeous Grape & Soft Sea Foam! 🙂 The simple details and texture from the die cuts make it quick and fabulous! 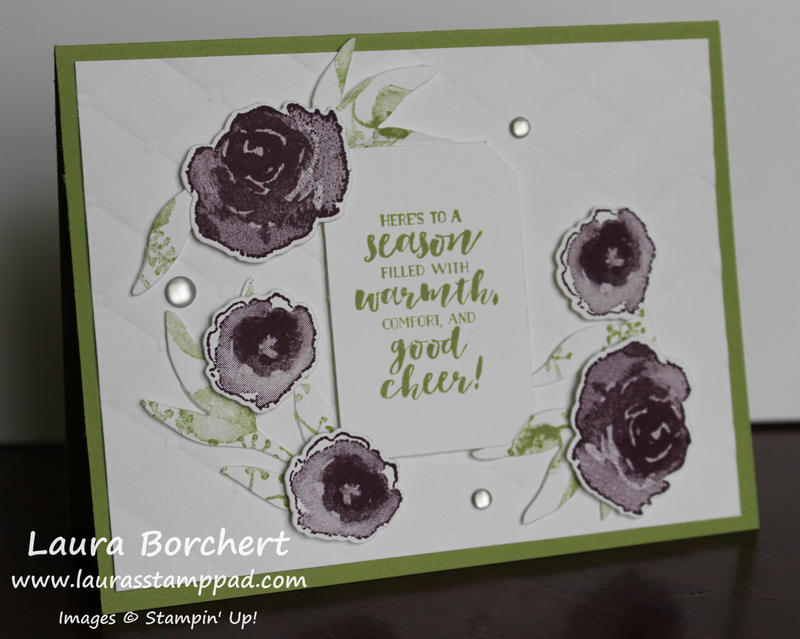 I started with a Soft Sea Foam card base and stamped the greenery all over the background using the Blended Seasons Stamp Set. Next, I die cut the labels from the Stitched Seasons Framelits in Gorgeous Grape and Whisper White. Be sure to save the frames for another project!!! 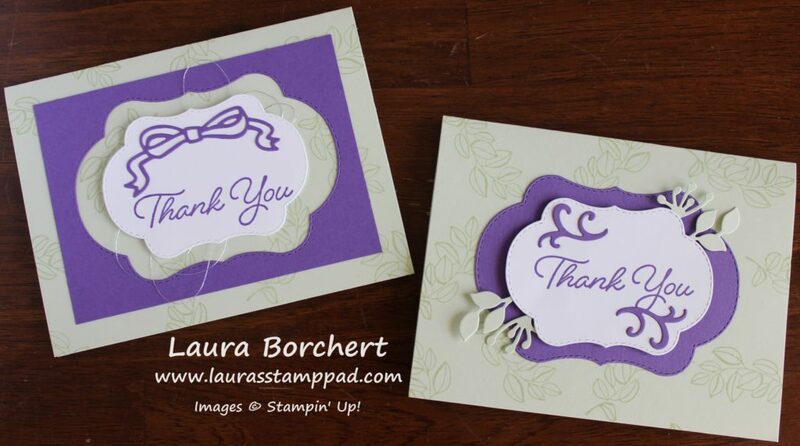 On the Whisper White label, I stamped the greeting in Gorgeous Grape and added the die cut filigree images. The Fine Tip Glue Pen works amazing for adhering those. When I layered these labels, I added the grape one flat. Then I added Stampin’ Dimensionals to the white one and stuck some die cut greenery on there as well. This card was created very similar but I used the Gorgeous Grape frame from the card above rather than another die cut label. For the center Whisper White label, I stamped the greeting lower and added a die cut bow from the same Stitched Seasons Framelits Set. For some more texture, I put loops of Metallic Silver Thread behind the white label securing it with Stampin’ Dimensionals! Which one is your favorite – the bow card on the left or the filigree and greenery on the right? Let me know in the comments below!! !